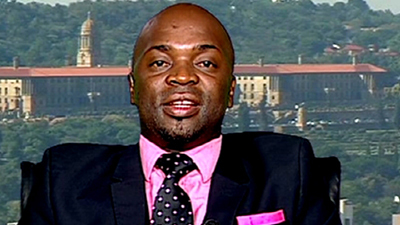 Msimanga fails to appear before Human Rights Commission - SABC News - Breaking news, special reports, world, business, sport coverage of all South African current events. Africa's news leader. The Human Rights Commission says it’s disappointed at Tshwane Mayor Solly Msimanga‘s failure to appear before it over allegations of contaminated water in the Hammanskraal area, north of Pretoria. The commission had invited Msimanga, the city manager and the provincial Water and Sanitation Department to appear before it. This was in an effort to determine the causes of the recent violent protest action, as well as steps to take to address allegations of contaminated water. “The no show of the Mayor and the City Manager is contemptuous and we’ve registered our concerns with the delegation from the City because we wanted to speak directly to the accounting officers of the City of Tshwane. However, we are happy with deliberations and the commitments that were made today on behalf of the City of Tshwane,” says Buang Jones from the commission. This entry was posted on 20 Jul 2018,06:02AM at 6:02 AM and is filed under South Africa, Homepage Latest Stories Slider. You can follow any responses to this entry through the RSS 2.0 feed. Both comments and pings are currently closed.